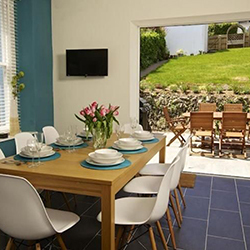 Down in South Devon we’re blessed with a lovely microclimate with fewer days of frost, higher average temperatures and less rain than the UK average. 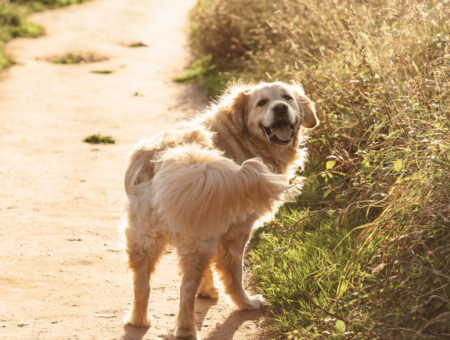 Our sunny weather, along with our open countryside, spacious beaches and dog-friendly attractions, attract thousands of pet-owning holidaymakers every year. But on those wintery days when the clouds set in and the rain fails to ease off, why not treat your time with the pooch as the perfect opportunity to have some fun together? Here are five fun things to do with dogs inside. How about visiting our Facebook page to share your own ideas? Rubber cone-shaped food containers for dogs, often known by the brand name Kong, come in many shapes and sizes. These can be an effective way to make meals more stimulating and fun for hungry mutts. You can stuff your Kong with regular dog food or fill it with treats like peanut butter or apple slices. Freezing the Kong after you’ve stuffed it will mean your dog has to work for its supper, staving off boredom on days when it can’t be outside roaming the countryside. The Kong Company has some great recipes here. A similar option is to purchase a food dispensing toy. These are often in the form of cubes or balls – when they’re rolled along the floor by the dog, they dispense dry food little by little. Some make a bleeping sound when the hole is facing the floor and there’s a strong chance of a treat rolling out. It’s great fun watching your dog learn how to get its paws on the treats. Teaching tricks can be an endless source of entertainment for you and your dog, but there can be practical benefits, too. Some tricks can help to keep your dog safe – e.g. you can use commands like ‘Come!’ and ‘Leave!’ to stop your dog getting into trouble around livestock, cliff edges and other hazards. So it’s good to practise these before heading out onto Dartmoor or some stretches of the South West Coast Path, for example. Other tricks might have no obvious practical benefit, but remember that every trick you teach your dog can strengthen your bond and improve its obedience in the long-term. And despite the old saying, you can teach a dog new tricks! There are 52 great tricks to teach here. On a rainy day when your dog won’t get as much outdoor exercise as you’d like, you can still stimulate their most important sense with some indoor play. One easy game to set up is “Which hand?” or a similar variation. This involves simply hiding a treat (or pellet of dry food if you’d like to give your dog its entire dinner this way!) in one hand and holding out both fists. They’ll quickly learn to sniff their way to the correct hand. A fun alternative is to place three opaque containers face down on the floor, with a treat slipped underneath one of them. Move the containers around and see if your dog can follow its nose to the right one. It may take a while for your four-legged friend to understand the game, but after that it should quickly become a favourite. Many people may laugh at the thought of giving their dog a massage. But a scientific study in 2015 found that dogs respond better to touch-based interactions with people than they do to receiving spoken praise and encouragement. ‘Additionally,’ wrote the researchers, ‘[the] dogs did not show any sign of satiation with petting.’ It seems it might be literally impossible to stroke or pat your dog too much! If you are going to spend a lot of your time indoors stroking, petting and scratching your four-legged friend, why not learn to do it properly? Modern Dog magazine has some simple tips to help you get started with the art of doggie massage. We hope these ideas for things to do with dogs inside have inspired you to have some fun with your pooch, whatever the weather is doing. 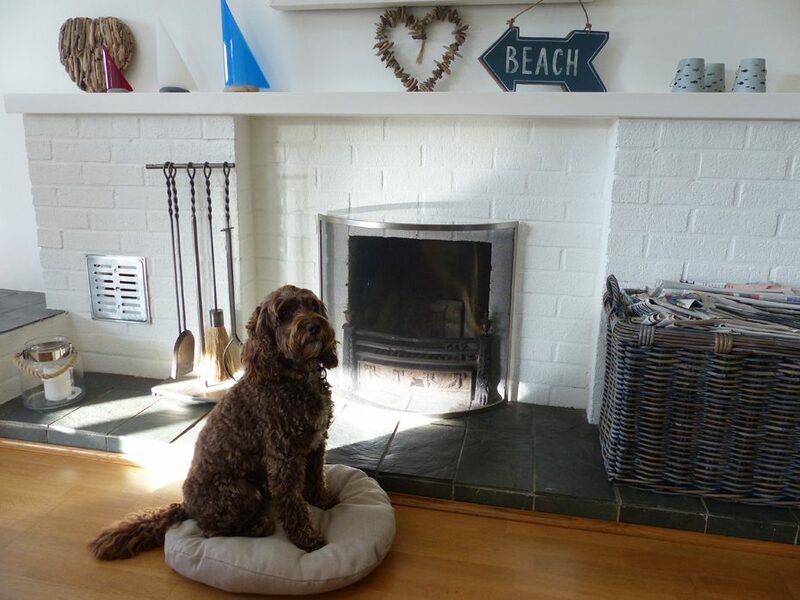 One of the joys of a South Devon holiday with your dog is that, with Coast & Country Cottages, there’s no need to compromise on comfort just because you’d like to bring your four-legged family member along. 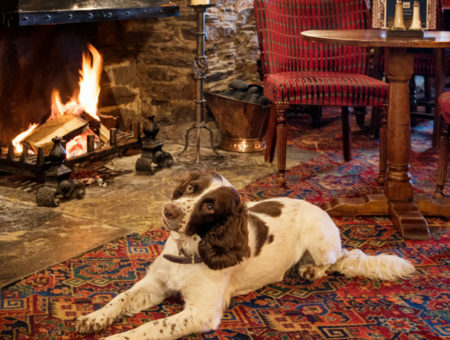 Take a look at the three luxury dog-friendly holiday cottages we’ve picked out for you, or explore our full range of around 110 pet-friendly holiday homes here.